Hello and welcome to the October 2017 issue of the Server StorageIO data infrastructure update newsletter. October has been a busy month pertaining data infrastructure including server storage I/O related trends, activities, news, perspectives and related topics, so let’s have a look at them. The following is an evolving recommended reading list of data infrastructure topics including, server, storage I/O, networking, cloud, virtual, container, data protection and related topics that includes books, blogs, podcast’s, events and industry links among other resources. Peripheral Computer Interconnect Express aka PCIe is a Server, Storage, I/O networking fundamental component. This post is an excerpt from chapter 4 (Chapter 4: Servers: Physical, Virtual, Cloud, and Containers) of my new book Software Defined Data Infrastructure Essentials – Cloud, Converged and Virtual Fundamental Server Storage I/O Tradecraft (CRC Press 2017) Available via Amazon.com and other global venues. In this post, we look various PCIe fundamentals to learn and expand or refresh your server, storage, and I/O and networking tradecraft skills experience. Recently I needed to upgrade one of my systems to Microsoft Windows 10 1709 (e.g. the September 2017) release that post upgrade resulted in Windows Explorer, desktop and taskbar going into an endless loop. For those not familiar with Windows 10 1709 learn more here, and here including on how to get the bits (e.g. software). 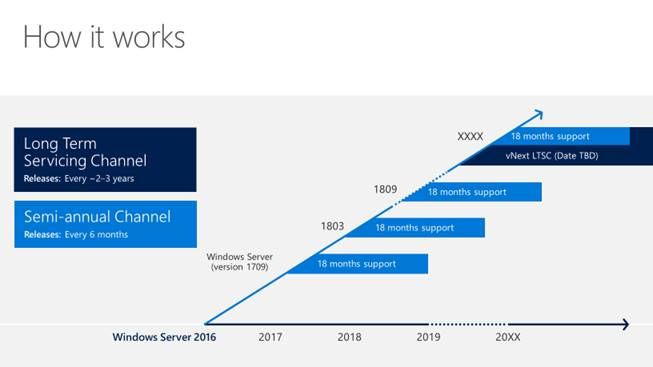 Windows 10 1709 is a semi-annual channel (SAC) Microsoft is following to enable a faster cadence or pace of releases making new features available faster. Note that there is a Windows 10 1709 SAC, as well as Windows Server 2017 SAC (more on that here). Essential Virtual SAN (VSAN): Administrator’s Guide to VMware Virtual SAN,2nd ed. by Cormac Hogan & Duncan Epping via Amazon.com here.